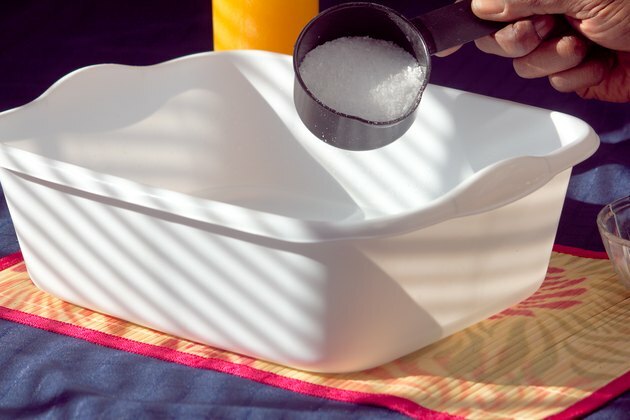 Epsom salt is the common name for magnesium sulfate, a mineral many people with aches and pains are deficient in, according to Plant Green.com. When you soak your feet in an Epsom salt bath, your skin absorbs this mineral, which eases pain, relaxes muscles and tendons, reduces swelling and improves circulation. It's best to soak ache-prone feet regularly to improve circulation and prevent pain instead of only treating the feet once the pain starts. 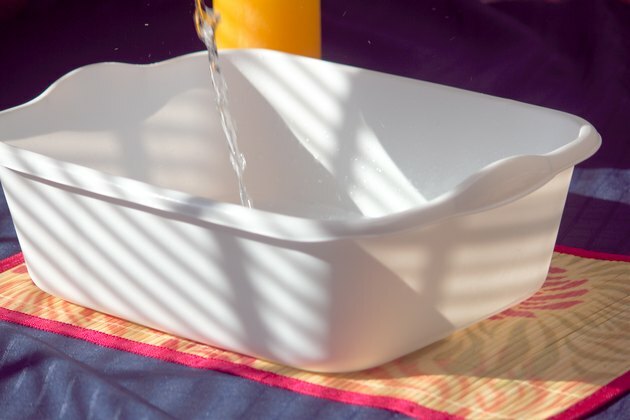 Fill a small foot bath or basin with warm water or add warm water to your bathtub until it's as high as your ankles. 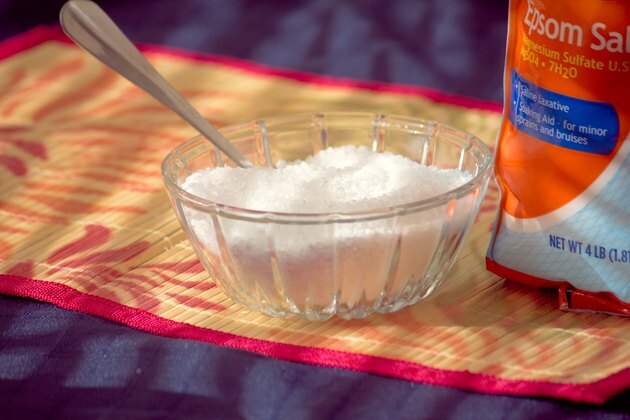 Add 1 cup of Epsom salts to your foot bath or 2 cups to your bathtub, advises the Epsom Salt Council. Adding the salts to the foot bath also helps to soften rough skin on your feet. Swish the water around to help the salts dissolve in the warm water. Pamper your cuticles, by rubbing a drop of cuticle oil on each toe. Soak your feet for 10 minutes. Rinse your feet. Wipe away any dead skin with a large towel. Smooth on a moisturizing cream to rehydrate skin. Repeat two to three times per week to help prevent foot pain and to improve circulation. Add a few drops of your favorite relaxing essential oil, like lavender oil, for a more calming foot bath experience.